At a ceremony at Zellerbach Playhouse on Thursday, April 22, four Berkeley faculty members — acclaimed by their peers and students alike — will receive the campus’s top honor for exceptional teaching. Below, a preview. 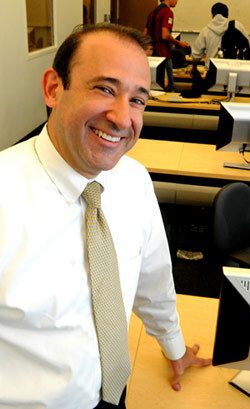 After graduating from college in Venezuela, Pestana-Nascimento immigrated to the United States to earn his master’s and doctoral degrees at MIT. 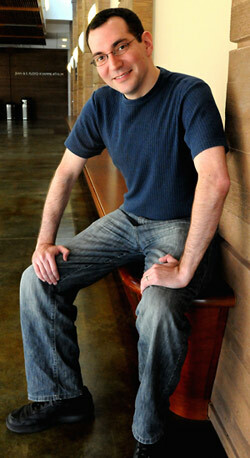 His work involves geotechnical engineering, environmental geotechnics and geotechnical earthquake engineering. He calls teaching “an intensely personal experience,” and his students seem to agree. Klein describes his research as focusing on “the automatic organization of natural language information,” including such topics as linguistic analysis, machine translation and speech recognition. To the undergrads in his artificial-intelligence class, what really distinguishes him as a teacher is the human touch he brings to the learning experience. “No other professors I’ve heard of can be seen running a ballroom-dancing workshop, serving as a faculty speaker on last-minute notice, and starring in an EECS theater night,” wrote one student. 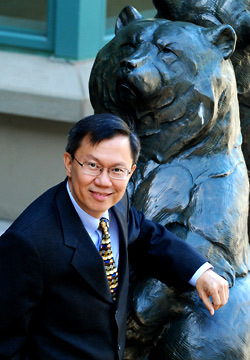 A prolific author, one-time faculty chair and the director of the Asia Business Center, Ho’s teaching prowess was apparent to his colleagues from his earliest days on the Berkeley faculty, as several previous awards attest. Nor has the value he brings to the lecture hall been lost on his business students.